All the other bikes in the fleet with round chainrings feel unnatural/odd after getting used to the Rotor oval chainring. The solution for this is to buy chainrings for the other bikes in the fleet. 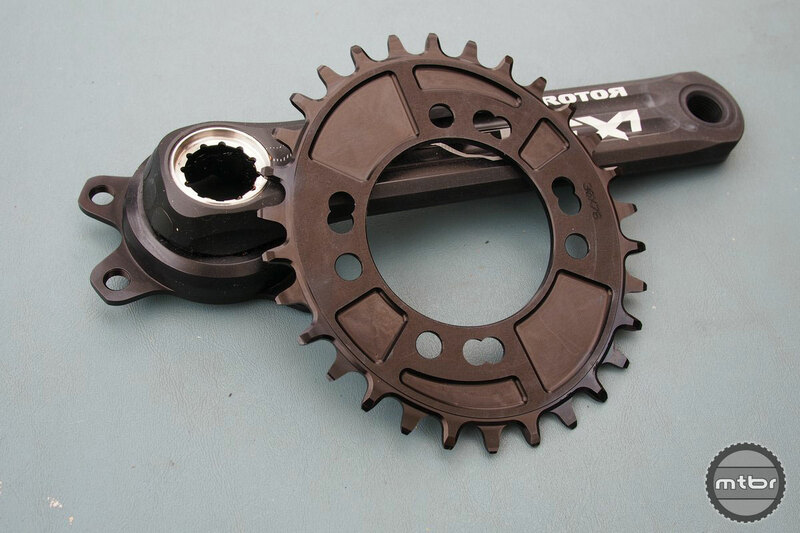 The front shifting is compromised as it is indeed harder to shift and tune the derailleur for the front oval rings. Well the onset of 1×11 drivetrains is here to the rescue for the front shifting issue as it is totally eliminated with a 1x setup. 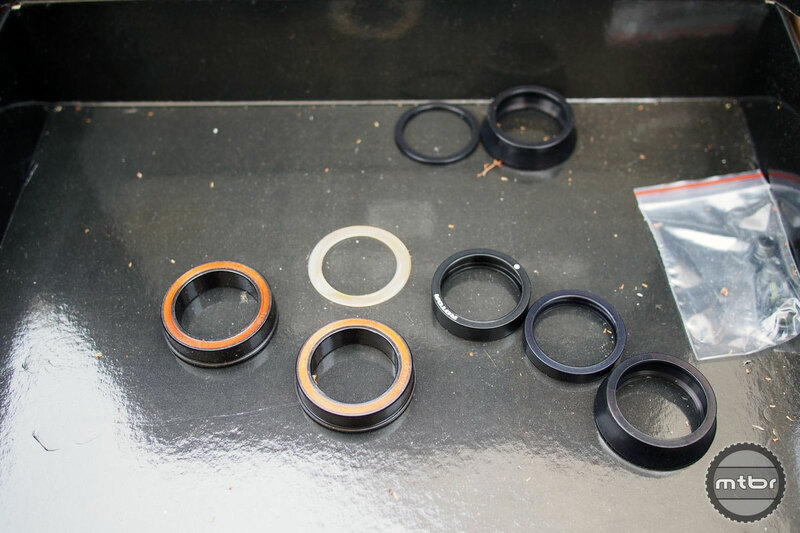 Rotor came up with a Narrow/Wide oval ring and we were excited to try it out. 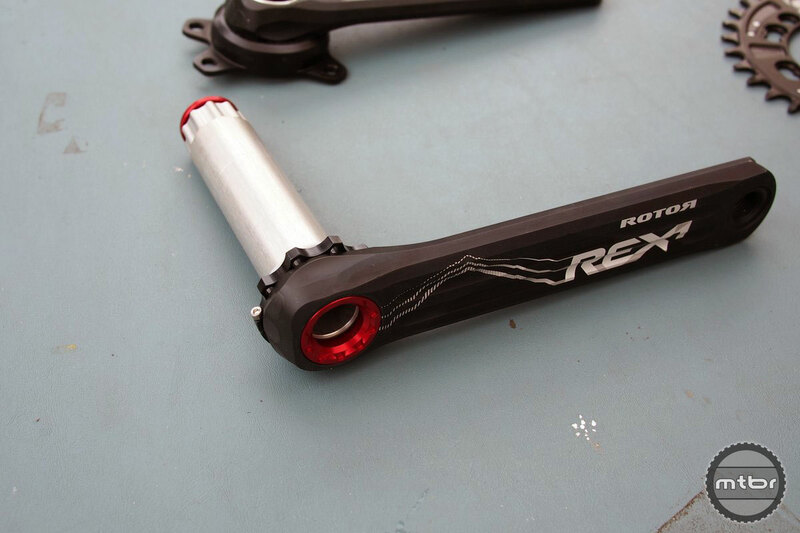 They sent us their Rex 1.1 setup with a PressFit 4130 bottom bracket. 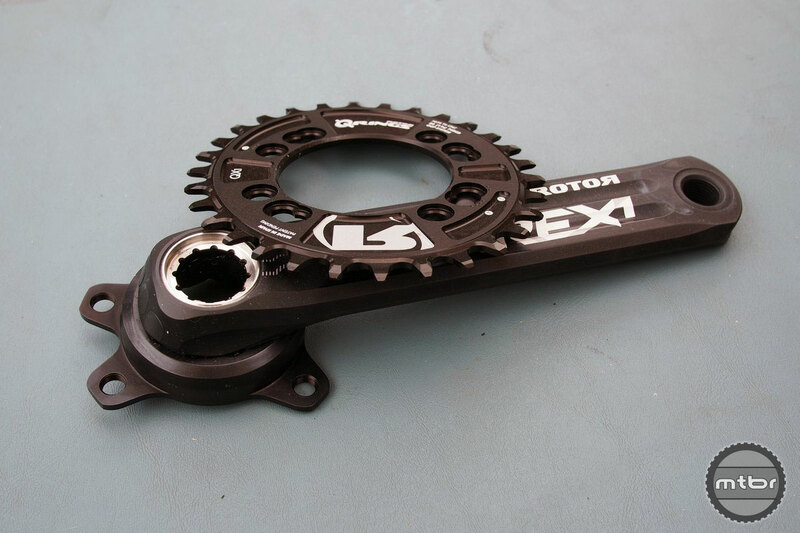 They also insisted we try a 172.5mm crank length, since they’ve found that to work well with their rings and with these new bikes with lower bottom brackets. So we put it on and so far so good. There’s no dropped chains and no shifting issues of course. We are seeing the benefits of the oval ring. With only one ring in front, the oval ring gives us a more ideal ring with good top end, but we seem to have an extra gear on those very steep wall climbs. 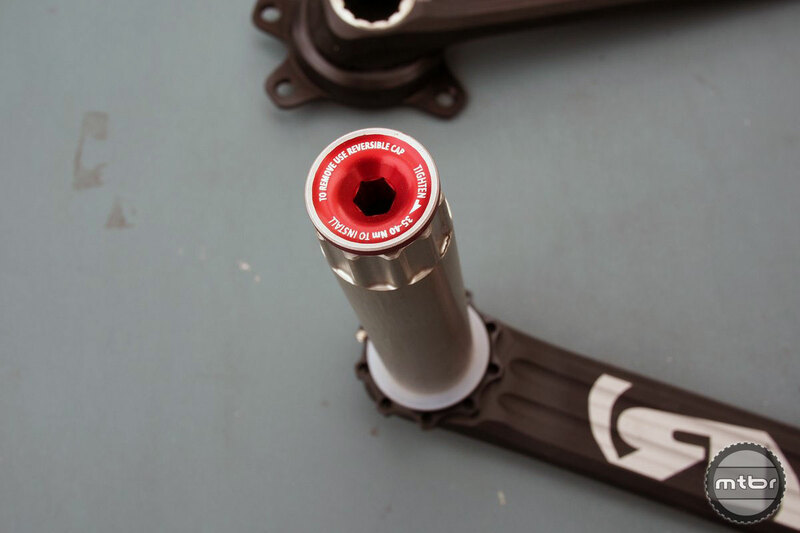 The crank is incredibly stiff as well, and we like the more direct and efficient power transfer. Actual weight photos are shown below. 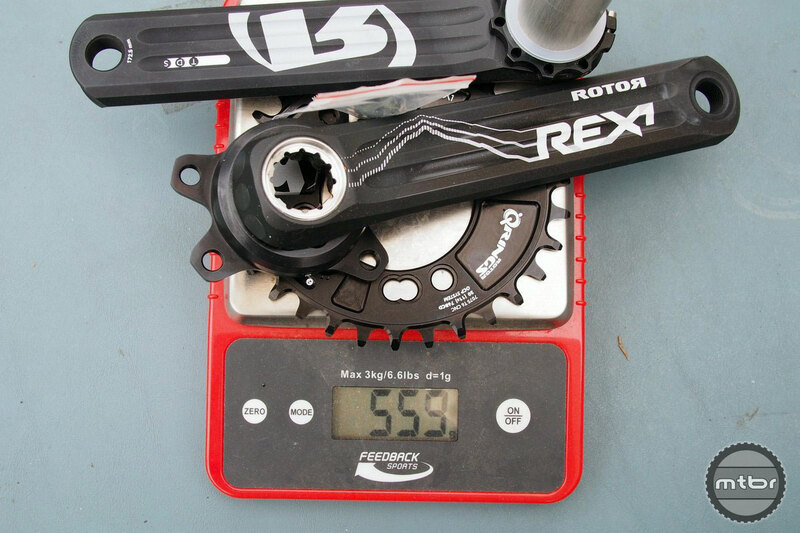 System weight with 172mm length cranks. 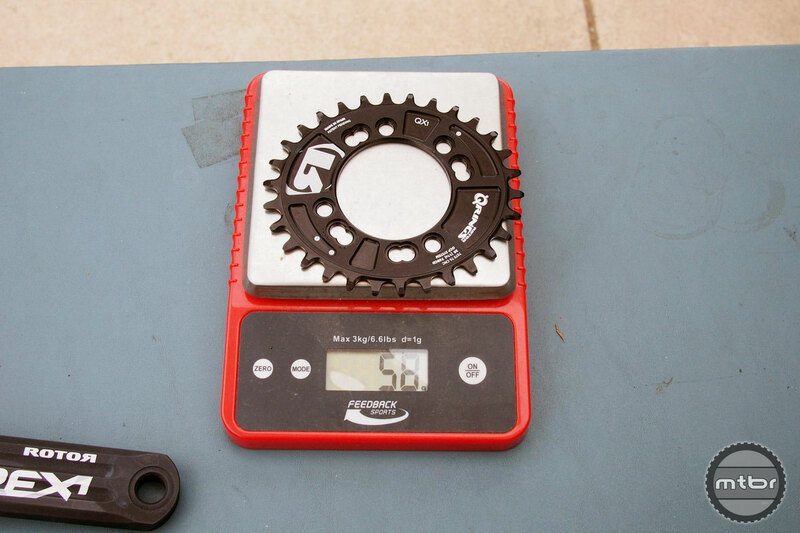 BB weight with all the spacers. 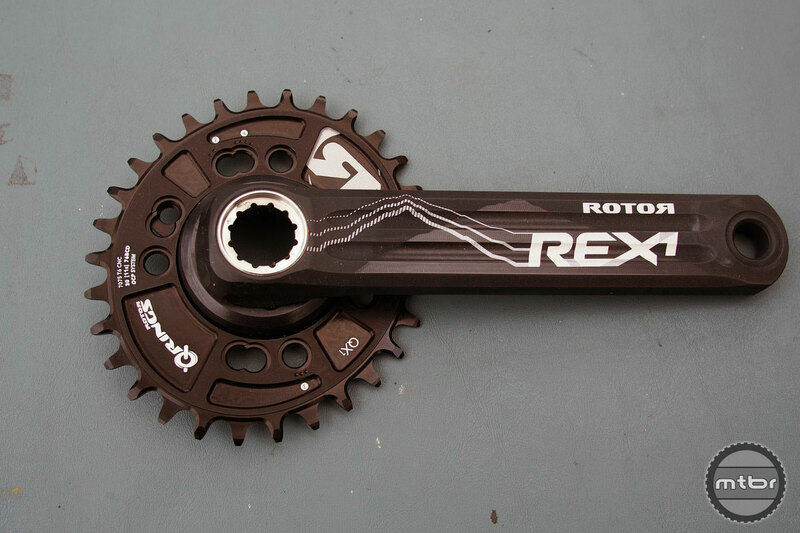 For more information visit www.rotorbikeusa.com. I wonder how the clutch derailleurs would deal with that constant chain length change. @ Peter Cain, I had the same question. I didn’t want the clutch derailleur to be constantly pumping, eating up energy. It has turned out not to be a problem though. 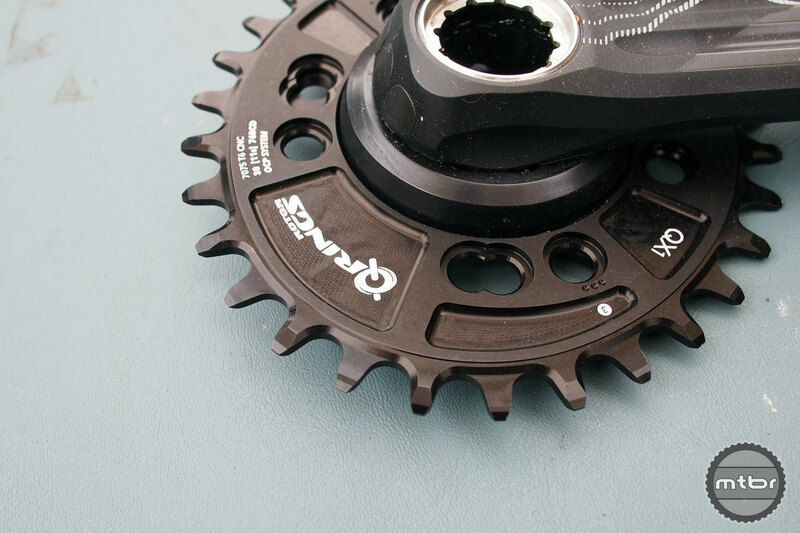 The difference in chain tension is BARELY noticeable. The tiny amount of movement in the hanger probably didn’t even engage the clutch. 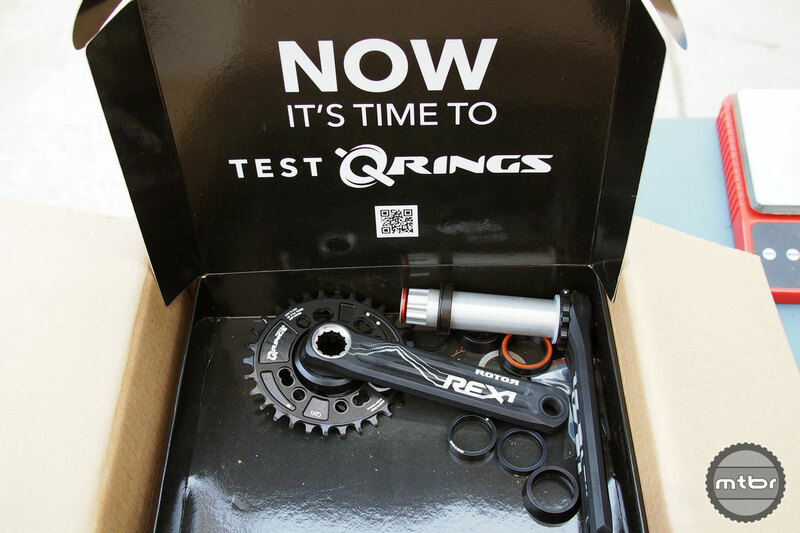 I now use the Qring singlespeed and itworks perfectly for that too. Are they available without the fugly graphics? Seriously, that’s a deal breaker. I just wish this chain ring was available for my GXP XX1 as I’d have ordered it 6 months ago. 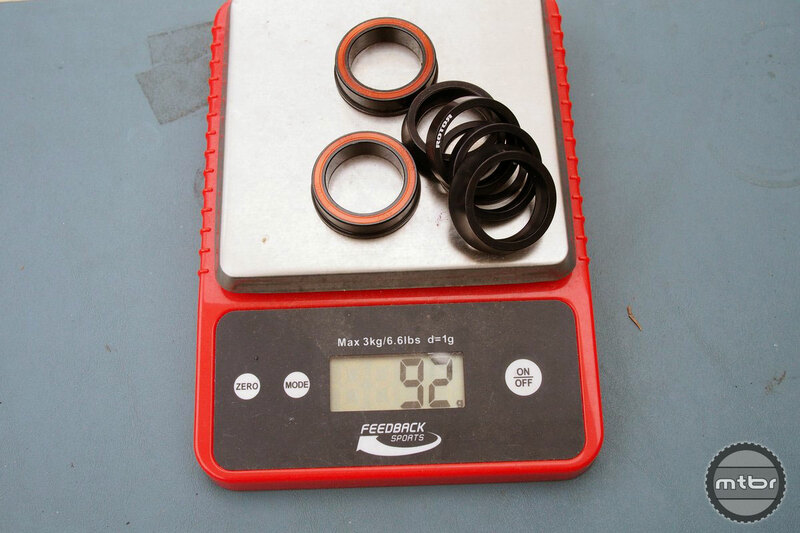 A 104 format would limit choice of rings to 34t and up or 32 if you go offset like the 30t round ring. If you want the 104 format go with 34T ss non-NW + MRP 1X. I did. XX1 and Sram X0 compatible with QX1 adaptor. The longer downstroke gives me more traction on my trail bike and I can maintain a lower rpm too. My 2 cents.